Each June a group of U16 and U18 athletes from many IMD teams, makes the trek west to Mt. Bachelor. This tradition of kicking off summer training by skiing on snow has become a favorite for every attendee with a mix of quality on-snow training , summer adventures around bend and plenty of jumping in rivers. Mornings are longer sessions on the trails at the base of Mt. Bachelor. Afternoons are filled with trail runs at Smith Rock, strength sessions in Sun River, food truck adventures downtown and more. 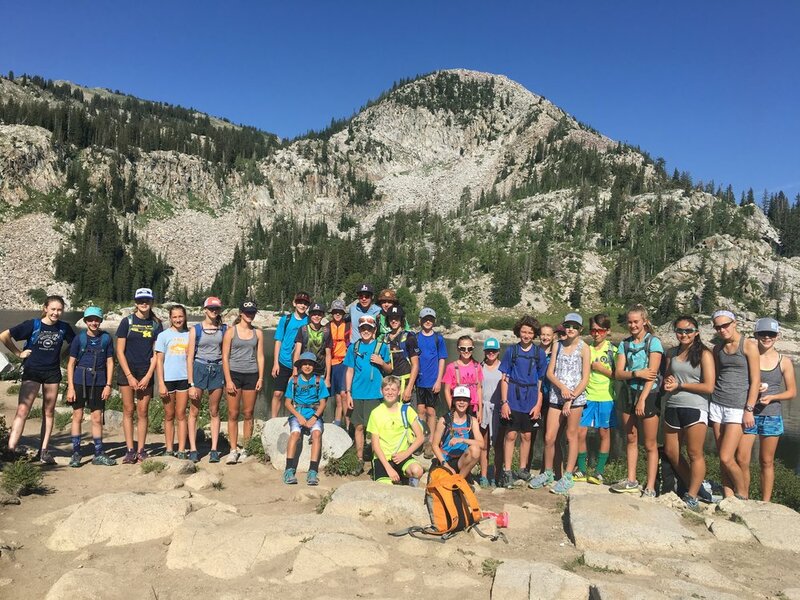 Jackson Hole arguably offers some the best summer training opportunities for Nordic athletes in the country. With Grand Teton National Park out the back door, over 65 miles of multi-use pathways in Teton County and GTNP, and optimal terrain for ski imitation and agility drills at our Snow King headquarters. The roller skiing, running and facilities are truly exceptional. Each July, collegiate level athletes are invited to join the Jackson Hole Ski and Snowboard Club for a solid week of excellent training in paradise. With coaching from a USSA L200 coaching staff, full support in every work out, housing and board, this camp is truly the only of its kind. Starting in summer 2018, U14 athletes from all IMD teams come together for a 4 day-3 night camp of Nordic centered fun and team building. Inaugurally hosted in Soldier Hollow, UT, over 30 IMD skiers came together in the Wasatch Mountains to learn more about year-round training. With a focus on introduction to roller skiing, each day included a workout of roller-ski agility, technique or strength and the week ends with a capstone distance roller-ski. Other workouts included strength sessions, an all-day hikes in the mountains and on-foot games. Downtime is filled with more games, meeting Olympians, touring top level training facilities and learning about other areas of Nordic skiing such as Biathlon and Ski Jumping. Check out the blog post on the SoHo camp to learn more and see some pictures. The Haig Glacier became the summer training ground for the Canadian National Ski Team in the 1980's. Named the Becky Scott High Performance Training Center (BSHPTC) after the Olympic Medalist Becky Scott in the Calgary Olympics, the glacier provides unparalleled high altitude, on-snow training throughout the summer. This is why a group of IMD athletes, spearheaded by the Sun Valley crew, head to the glacier each August for the largest volume training blocks of the year. This group of U18/U20 athletes drive to Peter Lougheed Provincial Park and hike into the base camp at 2700m for a week without cell service or internet, where a mess hall caters all meals and a bunkhouse sleeps the team. A short hike to the glacier from the base camp each morning leads to a loop of snow cat groomed ski trails. This environment is prime for a focused, productive and team building camp. Athletes not only train with their top competitors, playing a part in raising the bar of the Intermountain and National level junior athletes but also make huge gains in technique, aerobic base and strength with the benefit of being on-snow. Not to mention soaking in views of the amazing Canadian Rockies in every direction and exploring the awe inspiring terrain around camp every afternoon. A camp unlike any other and true favorite for each athlete. Check out the blog to read more about the camps and see more photos.